Tukur Gusau, Zamfara: The Hon Minister of Defence Mansur Muhammad Dan-Ali has on behalf of President Muhamadu Buhari today (saturday) condole the people of Zurmi Emirate and Zamfara state in general over the unfortunate killings of over forty people in Birane village. He prayed to Almighty Allah to grant the deceased eternal rest and the family they left behind the fortitude to bear the lost. The Minister also advised the people to avoid taking laws into their hands by carrying out reprisal attacks. He call on them to have faith in the efforts of President Muhammadu Buhari in tackling security challenges in the country. 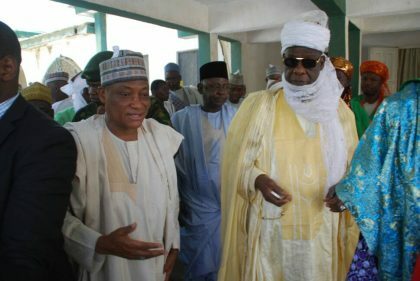 He urged the people of Zurmi Emirate to always cooperate with security agencies deployed in the area. 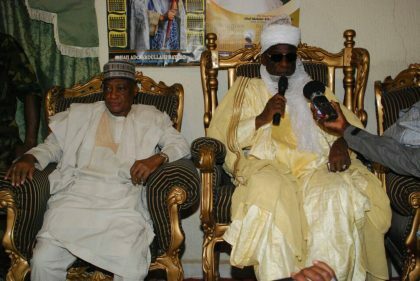 The Emir of Zurmi Alh Abubakar Atiku thanked President Muhammadu Buhari for his concern and promised cooperation with the security agencies so that the security challenges in his Emirate and Zamfara state in general will become a thing of the past. The Hon Minister was also briefed by the Commanding Officer 223 Battalion about the security situation in the area and measures taken so far to address the reoccurance of the problem.